Nokia to Launch an Android Phone in 2016, What Should We Expect? There has been a lot of fuss about Nokia lately. First off, the Finnish company announced it was purchasing the French telecom equipment maker Alcatel Lucent for the sum of $16.6 / €15.6. On top of that, Nokia has announced it is in the process of reviewing its HERE Maps business which it might even end up selling. As revealed in recent reports, titans of the industry such as Apple, Facebook and Amazon are looking into the acquisition. But the biggest news came towards the end of this week when Nokia officially confirmed it is planning to release its next Android smartphone in 2016. However, Nokia’s new mobile efforts won’t look anything like its original business. The company will develop in-house products but then license the design and the company’s brand name to a third party manufacturer. Since Microsoft purchased Nokia back in 2013, the Finnish company is prohibited from licensing its brand on smartphones until the end of 2016. Even so, the device maker has come with this work-around for the situation and is actively pushing the development of its next-gen Android smartphone. So what should we expect, when come 2016, Nokia will be ready to take the stage and present us with its first post-Microsoft acquisition era product? 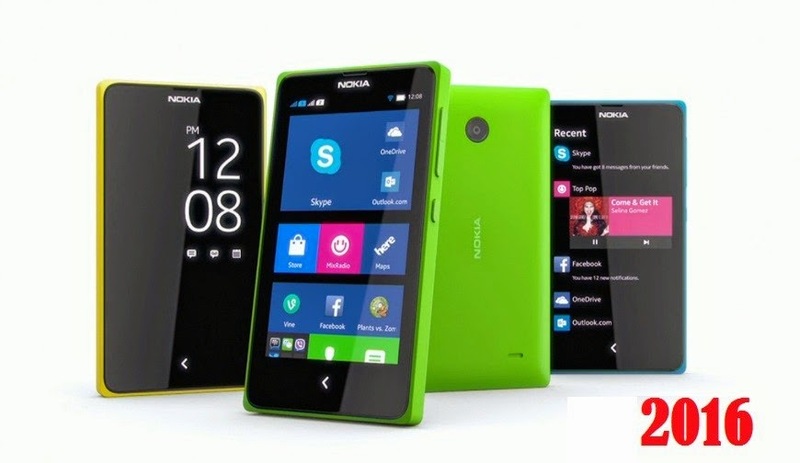 As we already told you above, Windows is an option that won’t be used by Nokia anymore. The company already tried its hand at it and failed miserably. So the next logical step is to move towards the Android ecosystem. Actually Nokia already launched a product in 2014, in the form of the N1 tablet, following the pattern I just described: it licensed the product design and brand name to a third party player. So if we want to imagine Nokia’s mobile future in 2016, we might find some worthy clues if we look at the N1 tablet. The slob arrived with a 7.9-inch display (in the vein of the iPad) with advanced 2046 x 1536 pixel resolution. Under the hood, Nokia used an Intel Atom Z3580 Silvermont quad-core processor running at 2.3GHz, the same one that is powering ASUS’ new ZenFone 2 smartphone, the first in the world to arrive with 4GB of RAM. The slate also comes with 2GB of RAM, 32GB of internal storage and an 8MP rear camera. Arriving on the market with a $259 / €238 price tag, the Nokia N1 quickly became a hit, selling the first 20,000 unit batch in just a few minutes. So what conclusions can be draw from looking at the N1? First of all, Nokia will probably step away from the design schematics characteristic of its former Lumia branch. Sure, the Lumias were an atypical bunch of smartphones, but Nokia needs to come up with something new, if it wants to draw customers back in. And the N1 was a good start, arriving with its anodized aluminum body and smooth rounded corners reminiscent of today’s popular tablets. Nokia might also want to conjure the days of old, by making an Android smartphone that’s sturdy and ever-lasting. After all, endurance was one of the better known characteristics of the Nokia product lineup. Next stop, hopefully we’ll see the Finnish companies keep using great camera technology in their smartphone. The Carl Zeiss partnership allowed Nokia to launch some Lumia models with impressive camera capabilities. But maybe Nokia is looking to start clean in 2016, so Carl Zeiss will be scratched off from the equation. Nevertheless, the camera department is an important aspect to consider and with Nokia’s track record of focusing on embedding advanced snapper tech, we have high hopes. Although Android is a pretty saturated environment to say the least, Nokia has the advantage of being able to rely on a solid brand recognition. So the transition from Windows Phone to Android should be quite smooth. As we can see the company managed to produce a pretty worthy product already, so we don’t see why an Android smartphone coming out from Nokia wouldn’t have the same faith as the N1 tablet.